RatedbyStudents.com is a website created to help students find the best academic writing services to meet their needs. The site contains reviews, guides on evaluating writing services, and a host of other information that students can use when they are trying to find the best writers to complete their papers for them. In addition to providing reviews and information on the top paper writing services, Rated by Students is also a content rich site containing information relevant to college students including blog content about academic writing tools. In order to further help students reach their academic goals, RatedbyStudents has released a mobile application. Keep reading to learn more about its features and how students can benefit from downloading this handy app and using it on a regular basis. This mobile app gives students the means to quickly and conveniently access all of the information needed to help them learn as much as possible about their available options when it comes to finding online writing services. Mobile users can quickly locate and read reviews from their mobile devices. These reviews are written by both students who have used these services in the path and by the professional raters employed by ratedbystudents.com. The reviews are specifically formatted for mobile phone making them easy to read on the go. 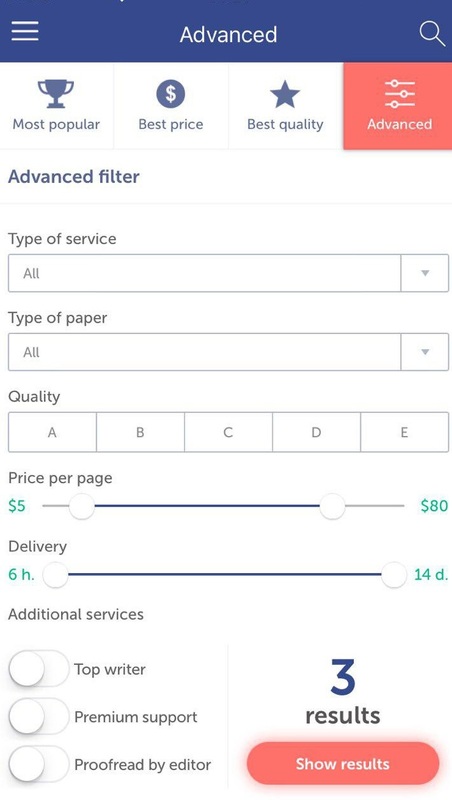 Rather than having to page through services that are not relevant to them or spending time reading about services that are not within their budgets, students can use the available filters and search features. This means less time wasted as students can directly navigate to the services that they need. Many writing services offer an array of special offers and discounts. Unfortunately, it can take forever to go from one website to the next in order to find and compare these offers. The app gives users a single location for finding all of the discounts that apply to the services that they need. In addition to curating both consumer and professional reviews, the app provides access to customer comments and testimonials. Of course, in addition to reading these, app users are also encouraged to leave their own feedback and ratings. 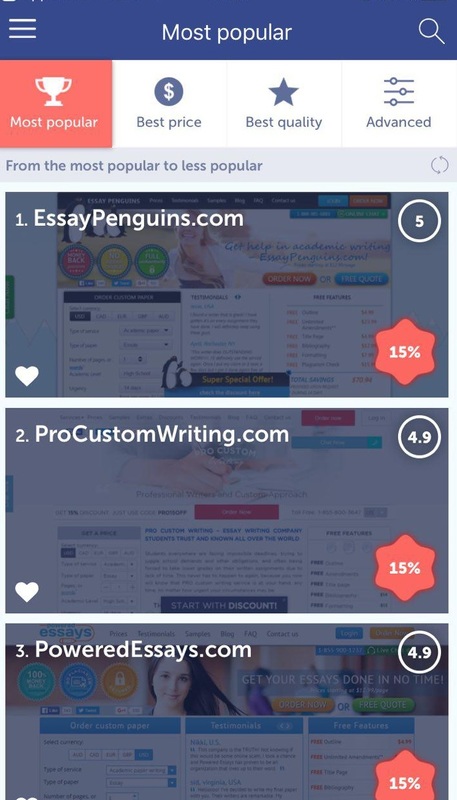 One of the potentially easy things to overlook about this app is its value to students who use online writing tools and content services on a regular basis. In some cases, these students are very loyal to a particular writing service, even an individual writer. Others use a variety of services depending on their specific needs at the time. One extraordinarily useful feature of this app is the ability to create and organize lists of favorites. This means that when a student has a new need for academic writing help, they can quickly locate the information that they need on their favorite content writing companies. 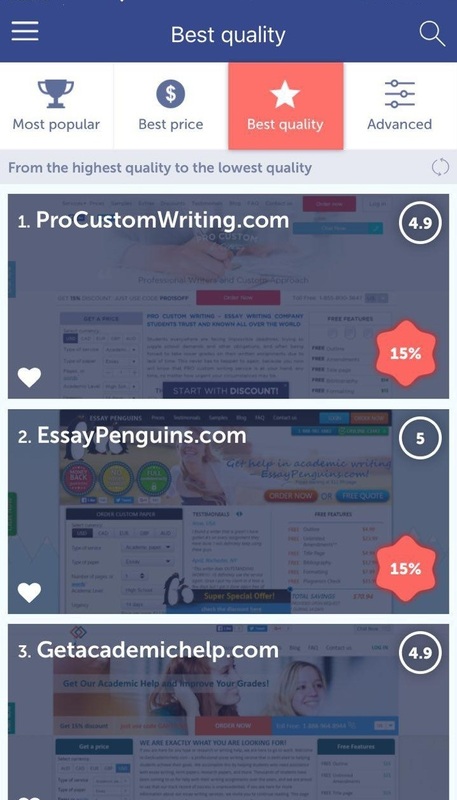 One important thing to note is that ratedbystudents.com isn’t just for students. They also provide reviews and other information on writing services that are focused on serving business professionals and job seekers. These reviews cover important topics such as resume and CV writing and design services. They also provide information on business writing services including press releases, blog posts, articles, web content, product descriptions, etc. Finding a writing service that can be trusted with your money, financial information, academic reputation, and personal information is no easy task. Any student who simply uses the first content provider they find when conducting a Google search is engaging in some fairly risky behaviors. By downloading the app, you give yourself the gift of access to valuable information provided by both consumers and professionals who have experienced the services offered by these companies. The information offered in these reviews include quality of customer service, ease of website navigation, and most importantly the quality of the final product. Whether you need a simple essay or research paper, or you are looking for dissertation consultation services, all of the information you need is available on this convenient app.